Georgina Kelly was born in the Philippines on the island called Palawan. She grew up in Windsor Ontario, where she currently resides. Georgina comes from a long line of nurses: her grandmother, mother and several aunts, all of whom inspired her to become a nurse as well. She has one sister working as an RN in Michigan and the other sister working as a Respiratory Therapist specializing in Asthma Care in children. She is a graduate of St. Clair College. Her career began in Cardiac Care / Telemetry both in Windsor and the U. S. She pursued an interest in Critical Care and worked in ICU, CCU and Stepdown units in Michigan for 13 years. 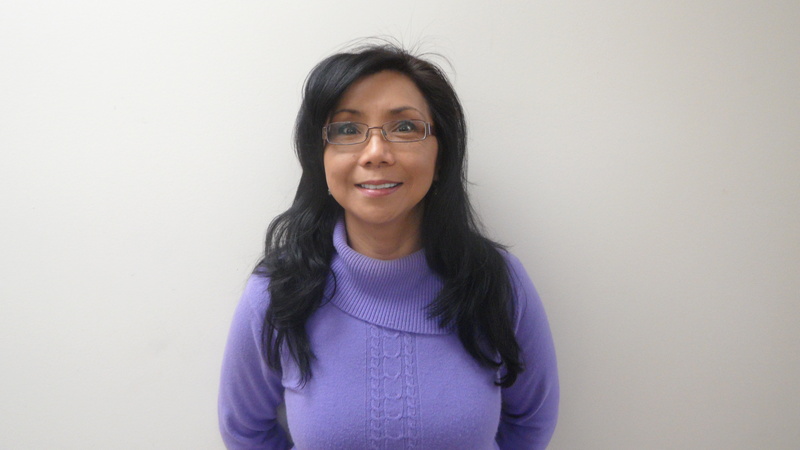 Georgina returned to Windsor and became a Clinical Educator for the RPN program at St. Clair College for 3 years. She has also been involved in Specialty Health Therapies with Shoppers Drug Mart Specialty Health Network and became an educator for Women’s Health and a Specialty Nurse for prostate, osteoporosis and psoriasis therapies. She returned to hospital care and worked in the Cardiac Cath Lab Recovery for 4 years in Windsor’s first Angioplasty unit. She continued to expand her interest and started in Diabetes Education under mentorship of the Windsor Essex Community Health Centre for 3 years. She has also worked as a Cardiac Rehab RN at the Cardiac Rehabilitation Program of the Windsor Essex Community Health Centre based at the University of Windsor. She was then offered to become the Erie St. Clair LHIN Project Coordinator for the Chronic Disease Self Management Program. This initiative led her to the implement and launch the “ Master Your Health” Stanford Model on Chronic Disease Self Management, and the “Choices and Changes” Clinician Influence Patient Action Programs. Georgina’s community projects include sponsoring 4 elementary schools and students in the Philippines. As a passionate advocate for education in the third world countries, she has been involved in providing resources and school supplies to 5 different elementary schools in the Philippines in the last 5 years. The other passion she shares with her son is caring for the environment, and advocates for caring for our planet in every way we can. In her spare time, she enjoys camping, vacationing, Zumba, kickboxing and multiple exercise balls and BOSU workout fitness programs. Latin dancing where the opportunity permits is her favorite. Role at the CKFHT: Nurse Educator for the Cardiac Education and Smoking Cessation Programs, Chronic Disease and Chronic Pain Self Management Leader and group support and socials.